Mrs Eadie was born in Stenhousemuir on March 7, 1947 and was educated at Larbert High School before graduating from London School of Economics. In her Scottish Parliament career she was the Deputy Convener of the Standards, Procedures and Public Appointments Committee. 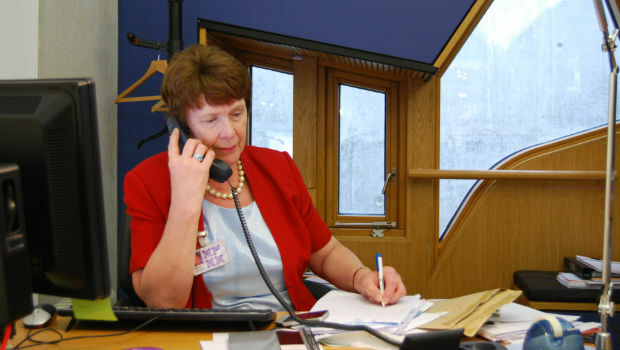 She has also served on the Health Committee, Public Petitions Committee, Subordinate Legislation Committee and the Bill Committee for the End of Life Assistance (Scotland) Bill. She was a local Councillor and full time official for the GMB union before her election to the Scottish Parliament. Mrs Eadie is survived by her husband Bob Eadie and two grown up daughters. The heartfelt sympathies of the Fife News Online team are with them. Labour Leader in Scotland Johann Lamont described her as a “politician of tremendous passion and commitment”. First Minister Alex Salmond commented: “My sincere condolences go to Helen Eadie’s family, friends and colleagues. “Helen served the people she represented diligently over the years, first as a Fife councillor and then as MSP for Dunfermline East and Cowdenbeath.